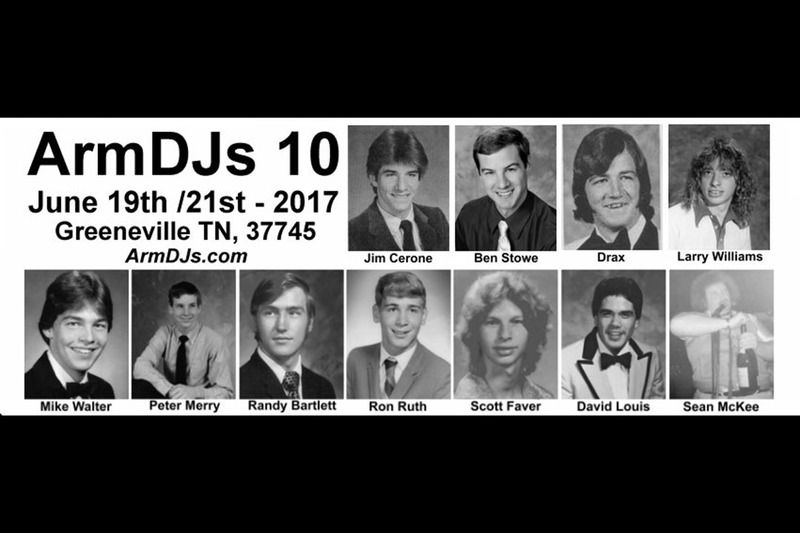 I recently had the pleasure of attending the 10th Annual Appalachian Regional Mobile Disc Jockey Symposium (ARMDJS)! A little over 10 years ago, Robbie Britton called me up and in typical Robbie fashion, said: “I have an idea!” Now those of you that know Robbie that can mean a LOT of different things. In this case, his idea was really two fold, one was to put together a group of DJs that could share ideas and improve quality in our region, the second part of his idea was to have a regional DJ expo that would attract DJs from outside of our local area and offer to them education and networking opportunities. This was the birth of ARMDJS! Robbie is one of those rare people that want to help everyone that he can in life and business. I know that it was not financially beneficial for him to operate ARMDJS, bring in “big name” presenters along with well-known industry experts, for a long time (if ever), but he soldiered on and produced fantastic content, outstanding networking opportunities and 10 years of the best 2 day DJ show on earth! One of the regular attendees travels from Hawaii (Dave Lewis) and others that have come from as far away as Australia and the UK (DJ Tutor) but I know it is frustrating for Robbie when DJs in our own local market don’t attend. I personally have been at all 10, along with helping as much as possible to sell tickets, advertise and market the event by Email, social media and just plain word of mouth. Over the years of being a DJ and MC, I’ve worked for far too little pay, spent too much time away from my family and burned a few bridges but I also have created some amazing lifelong relationships and created some amazing weddings and special events for my clients. I regularly attend the Mobile Beat DJ Show where I have spoken and have written for their magazine, I also generally attend the DJ Expo in Atlantic City that is coming up soon. I have participated in the Midwest DJ Live conference and even the Lighting Symposium produced by Ben Stowe and others in Minneapolis, MN, and I always leave each show with some “nuggets” that will enhance my own personal performances and business. However, I always get the most from ARMDJS. It is the one “can’t miss” event each year. It also is right in my own backyard where it is held in Greeneville, TN. I’ve had (and still sometimes have) all those fears and more, But that hasn’t stopped me from doing some great work over the years. And it shouldn’t stop you. Robbie is the real deal, he helps people every day for free, and he has produced 10 years of an excellent opportunity to learn. This year ARMDJS was even more special because many of us were able to attend the wedding of Robbie and Julia on Sunday before ARMDJS began. The wedding ceremony was held on the grounds of a beautify building that is a historical site from the Civil War and the reception was attended by many DJs and local friends. The guest list was a “Who’s Who” of the mobile DJ world. With Martha Painter and her beautiful harp music for the ceremony to the dance music by multiple DJs, it was a fantastic event and a good time was had by all. I want to thank Jeffery Evan Mufson for contributing most of the photography that accompanies this article, and special thanks to Robbie Britton and now his lovely wife Julia, for producing, and continuing to produce the secret sauce known as ARMDJS. This was the first year that the National Association of Mobile Entertainers (N.A.M.E.) was a sponsor and a great deal of interest was generated by this exposure.